I found a little beauty "treasure" whilst shopping at Don Don Donki and I must share with you. For months I've been bugged by acne/pimples/blemishes on my cheeks and chin. No matter what acne patch or cream I use, it just doesn't seem to go away. 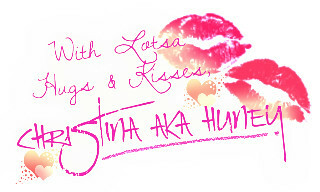 I was reaching desperation, not wanting to go out to face the world. Luckily my little midnight shopping trip paid off. 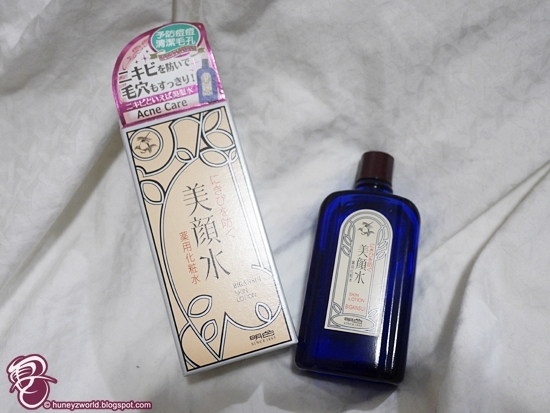 This little blue bottle - Meishoku Bigansui Medicated Lotion Toner, was waving its hands at me on the shelves, I've seen it being highly recommended on @cosme before and with the big sign "highly recommended" hanging there, I bought a bottle with the hope of "fixing" my face. Most of the wordings are in Japanese except for some simple introduction and instructions, so I did some Googling. 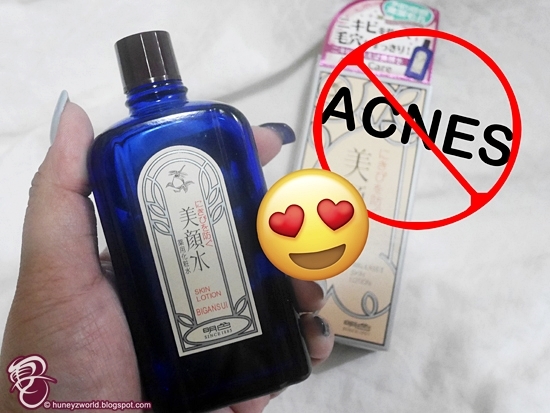 Apparently this "ancient" formula has been around since 1885 and has been a hot seller in Japan ever since, without changing their formula at all. It's even been loved by the old royal family for its superior sebum control performance! 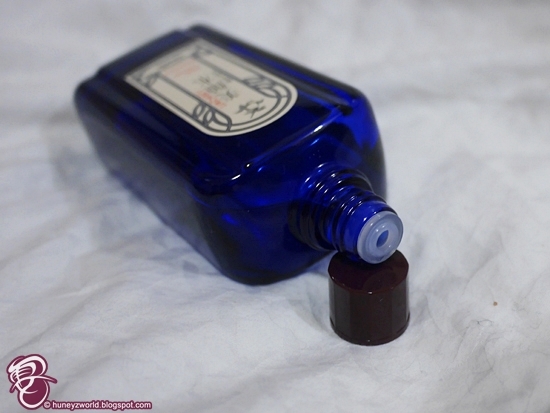 The lotion comes with a see-through navy blue glass bottle with a plastic screw cap, it's pretty heavy and I won't recommend it for traveling. It's easy to dispense the toner drop by drop, without spilling, but it's the scent that gets to me a little. 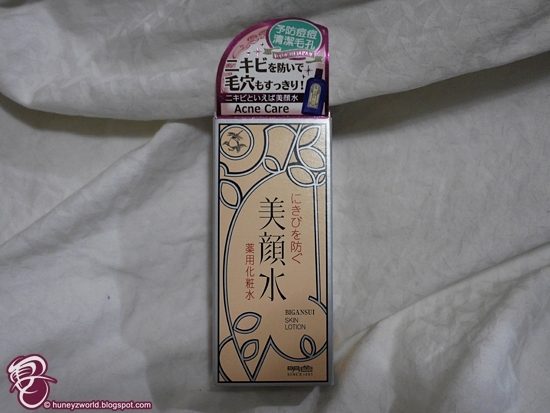 It has a pretty strong herbal scent and when you apply on the skin, there is a cooling effect, so for those who are sensitive to alcohol, please do a patch test or consult your doctors before using. So, here's how I use it. 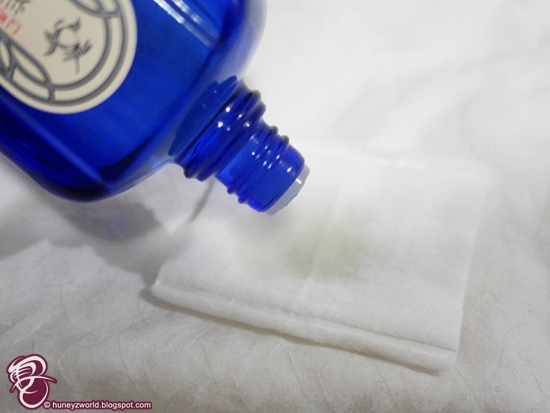 Every morning and night after cleansing my face, I will apply my usual toner first and then dab a few drops of the Meishoku Bigansui Medicated Lotion Toner on a cotton pad. 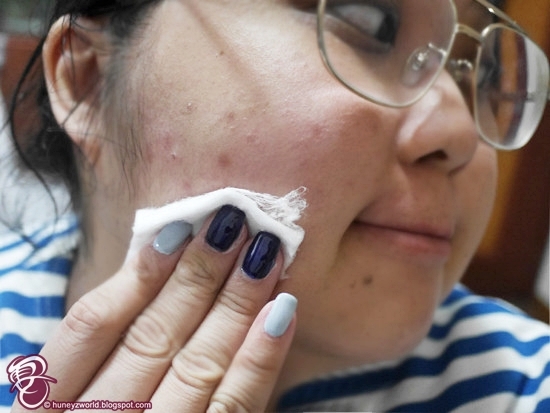 I go on a dabbing motion on the affected areas and leave the cotton pad there for a little while, letting the lotion soak in, before proceeding with my moisturizer and other skincare regimes. 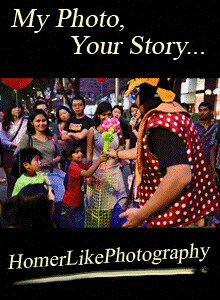 Check out the effect! 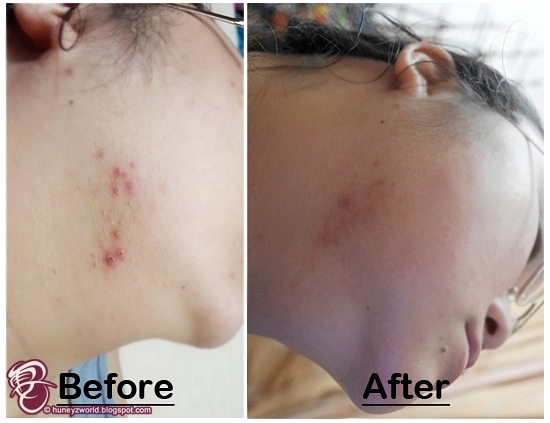 In just 3 days, my acne and spots have lightened and even some disappeared. It's really magic that acne can be gone that easily with just a few dabs a day. The redness has stopped and I can see the patches dry up and hopefully with more application, that acne patch will be gone in no time! 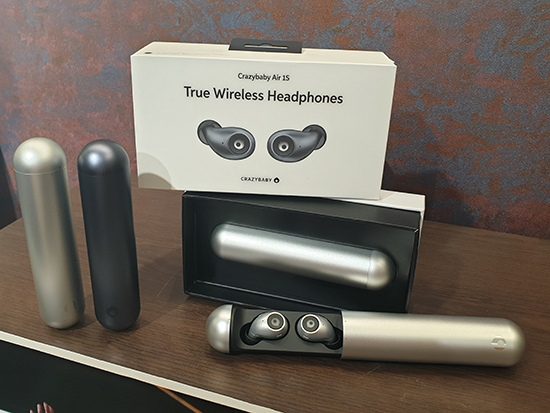 Thank you Japan for this amazing product! 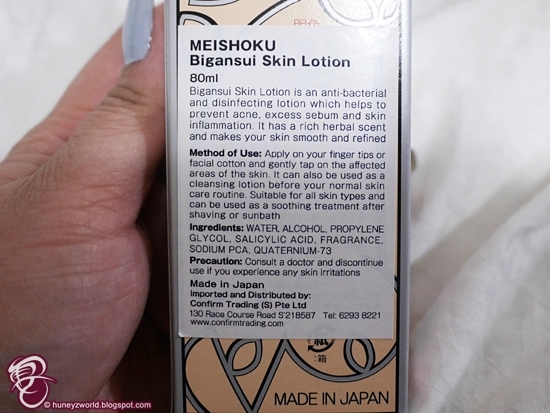 You can find the Meishoku Bigansui Medicated Lotion Toner in Don Don Donki now in Singapore and hope everyone can be rid of acne problems with this little miracle!